On this 4.5 hour tour you’ll explore the fascinating home, and home town, of George Washington. Mount Vernon, across the Potomac River in Virginia, is a living museum of the life and times of the first President of the United States of America. 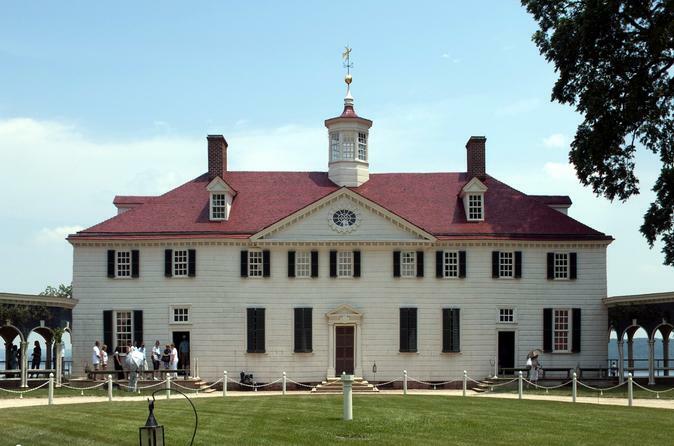 Tour Washington’s famed mansion, visit the plantation outbuildings where re-enactors keep colonial ways alive, stroll through Martha Washington’s beautiful gardens, and discover one of the best gift shops in the capital region, filled with unique treasures, toys, cookbooks, history books, and Virginia wines. On the way to Mount Vernon the coach will wind its way through the narrow streets of Old Town Alexandria, past Robert E. Lee’s boyhood home, the historic Torpedo Factory, and General Washington’s own church and his favorite tavern. You will also have an oportunity to step off and visit the historic Christ Church ( Monday - Saturday's only) were George Washington and Robert E. Lee worshipped. All activities are self-guided and at your own pace once arriving at Mount Vernon.